Waring Commercial presents the chocolate melter! Available in 6.6 lb. and 13.2 lb. units. It uses industry-standard size removable stainless steel pans. Temperatures are available in Celsius and Fahrenheit measurements. 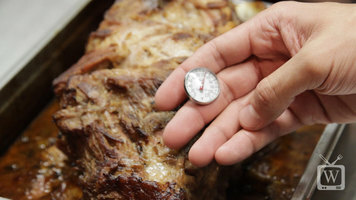 The included probe ensures accurate temperature reading. Integrated housing rim for no leaks and no messes. Lid cutouts accommodate ladle and probe. Temperature range of 68 to 140 degrees Fahrenheit. Accurate temperature control and gentle heating for no hot spots. Use a Waring chocolate melter in your commercial business to make delectable desserts with ease. Whether you want melted chocolate to delicately drizzle over decadent desserts, or if you want to use the chocolate to dip fresh fruits in for a dynamic display, Waring provides an excellent unit for your use. Deli cases are a great way to display cold salads, meats, and cheeses. 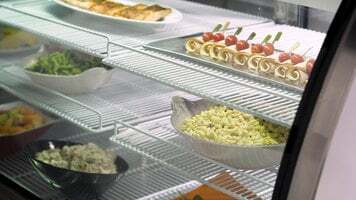 Avantco offers a full line of quality deli cases for an affordable price. Check out this video to learn more! 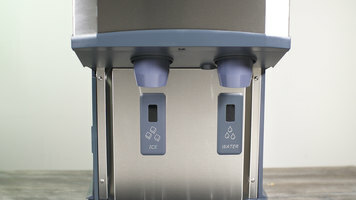 The Scotsman Meridian ice and water dispenser is a great addition to your establishment! Watch this video to learn all about the key features that make this unit a stand-out option among any competitors. Learn how to quickly and easily calibrate your dial probe thermometer for your specific needs!